Learners MUST hold the UEE30811 qualification or its equivalent before the Certificate IV can be issued. In addition, HRD requires that learners undertaking the UEE41211 Certificate IV in Electrical-Rail Signalling are currently employed in rail signalling (either as an apprentice or as a trainee). Apprentices will be completing the UEE30811 Certificate III in Electrotechnology (Electrician) electrical trade qualification and typically begin undertaking the rail signalling qualification on finishing the first year of their apprenticeship. 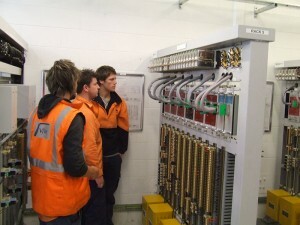 Trainees are already qualified as electricians and enter directly into UEE41211 training with HRD Integrated Services. Existing employment in rail signalling ensures that participants have access to essential infrastructure. Training is typically delivered in 5 day blocks, 4-6 weeks apart. An apprentice can complete the UEE41211 qualification in 3-5 years. Trainees can expect to complete the qualification in 2 years. Course duration includes workplace practical assessments that occur over the final 3 months of the course. 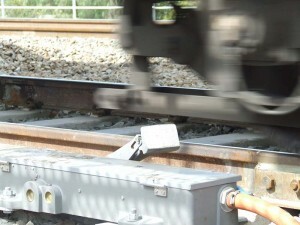 The Certificate IV in Electrical-Rail Signalling is a nationally recognised qualification. To enrol in the Certificate IV in Electrical-Rail Signalling you must already be employed by a rail operator or a rail infrastructure contractor in a rail signalling role (ie as a trainee or an apprentice). HRD provides the training, but not the full range of equipment you work on. The UEE41211 Certificate IV in Electrical–Rail Signalling is the essential qualification for those wishing to work as a rail signalling technician or maintainer on the Australian rail network. HRD offers training appropriate to each state rail network. Apprentices and electricians working with construction and testing companies can use this qualification as a basis for gaining employment as a rail signal installer or maintainer in another state or territory. Successful completion of the UEE30811 Certificate III Electrotechnology (Electrician) (or equivalent), with rail signalling electives, is an essential prerequisite to completing the Certificate IV in Electrical – Rail Signalling. On commencing the Certificate IV, participants undertake four prerequisite industry specialisation units from the Certificate III in Electrotechnology (Electrician). 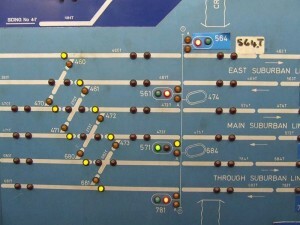 Commonly referred to as “the wiring units”, the following four units are delivered as part of an introduction to rail signalling systems. Three generic core units are integrated into delivery of technical units. The following units form the technical core of the Certificate IV qualification. 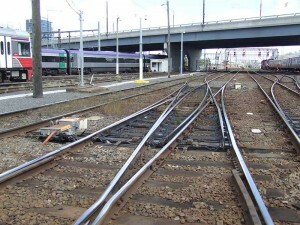 Full details of the Certificate IV in Electrical–Rail Signalling can be found at the training.gov.au website. Training is offered to apprentices when the first six months of the first year Certificate III Electrotechnology (Electrician) studies at TAFE have been completed. Training for the Certificate IV occurs concurrently with the apprentice’s electrical trade training and generally concludes at the end of an apprentice’s fourth year. A fast track program is available for trainees who currently hold the Certificate III Electrotechnology (Electrician) trade qualification or equivalent (‘A Class’ licence). It’s important to be aware that evidence of a valid electrical trade qualification is an essential requirement of Certificate IV training. The UEE41211 qualification cannot be issued without either a current ‘A Class’ electrical licence (or interstate equivalent) or a Certificate III in Electrotechnology (Electrician) or equivalent. Refer to the Trade qualifications as RPL evidence page for more information or contact HRD for further advice. UEE41211 Certificate IV training is typically offered as HRD training modules in 5 day block release, 4-6 weeks apart. Training modules are delivered to build learner knowledge and skills sequentially. Participants in the apprentice program can expect to complete their training in a maximum of 4 years, including a 3 month period of workplace practice and workplace practical assessment. Qualified electricians in the trainee program typically complete their training and assessment in 2 years and 3 months. Learners typically complete a research assignment, theory test and a number of workplace practical assessments for each training module undertaken. Theory work requirements must be met before undertaking workplace practical assessment. A minimum 70% pass mark applies to most assessment tasks. Mandatory safety-critical requirements must be met as a part of demonstrating competence. The Certificate IV in Electrical–Rail Signalling course is offered on a needs basis so start dates and group sizes vary according to industry demand. Training is provided at the Rail Academy–Newport or at an interstate site that provides access to essential infrastructure.